Zingrone Landscaping has been serving the Pittsburgh Area since 1993. Although the company has grown now to a fleet of ten trucks, year round service and over ten employees, Joe still meets with each client personally to discuss jobs, ideas, and estimates. When Joe meets with a new client, he shares the company philosophy: "If ever your service is not to your expectations, call me right away so that i can resolve the problem immediately." Zingrone Landscaping is pleased to receive the 2009 Small Business Excellence Award from the Pittsburgh Airport Area Chamber of Commerce. THANK YOU! Zingrone Landscaping appreciates repeat business and referrals. Our policy of being a "Company that Cares" has earned us various awards including The Readers Choice Award for two years in a row. 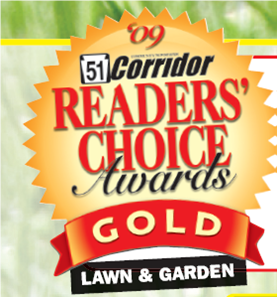 Zingrone Landscaping was named Best Lawn & Garden Service by the Readers of 51 Corridor Community Newspaper two years in a row! Zingrone Landscaping and Construction has been proudly serving the South Hills area of Pittsburgh and the surrounding communities since 1993. The business is owned by lifelong south hills resident Joe Zingrone, along with his wife Theresa. Zingrone does both commercial and residential work. Call Zingrone Landscaping for any needs that you have with your home and landscape. Each client personally meets with Joe and estimates are always free. Zingrone has dozens of references and the company is fully insured. Zingrone Landscaping is a member of the South Hills Chamber of Commerce, The Airport Area Chamber of Commerce, The Brentwood Baldwin Whitehall Chamber, Pittsburgh Professional Women and The Better Business Bureau. We're proud to be the recipient of a number of service awards including The Route 51 Corridor Reader's Choice Best Landscaping Company and the Small Business Excellence Award from the Pittsburgh Airport Area Chamber of Commerce. 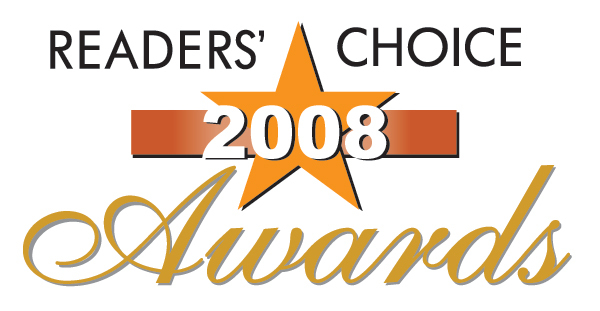 Additional Awards from Readers Choice 2008 & 2009 and BBB Award in 2009 with an active A+ rating. Zingrone Landscaping is a Company Who Cares! Just a quick note to thank you for the work that you did for us in the Fall. The garden you cleared was huge; we really appreciate all of the hard work your guys put into it. The grass came in so nicely; it's great to have our yard back. Thank you also for getting us through the end of the season without a lawnmower. We are impressed with your professionalism and will certainly recommend you to anyone in need of landscaping. I want to commend you for your promptness on starting the job, the professionalism of the crew, and how much better the front lawn looks. I've gotten several compliments on your landscaping work. If I ever need any more landscaping work done, you will be the one that I call. The guys came this afternoon and did a great job. Thanks.